"I havent seen The View in five days. Do you know what that does to me?" Describing the size of a blackhead on my dad's back: "I coulda put that on the record player and it woulda played for a half hour." Wearing her present from India. Baking me a ham. I think that is politically incorrect. 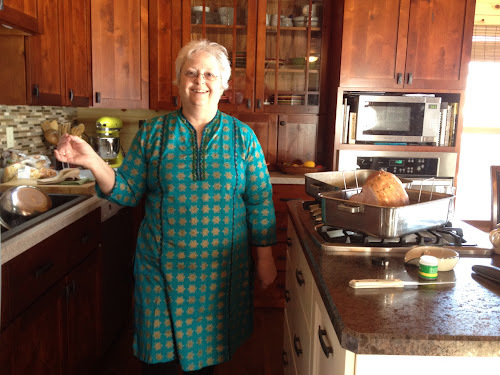 I mean wearing her outfit from India and cooking a ham. not the record player comment, that comment I think is just ethically or morally incorrect.